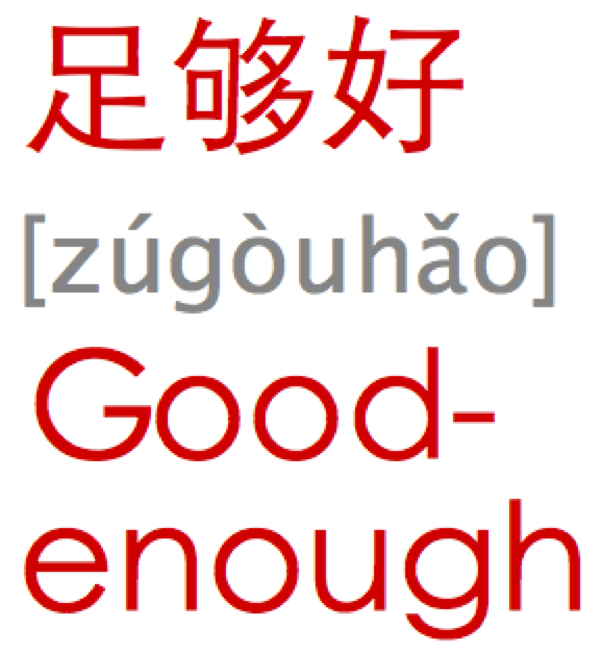 What does “good enough” mean, anyway? But I think “good enough” points to a Zen recognition that each decision, each person, each situation is always flawed and less than perfect, but may still be O.K. ,nevertheless, that many of us sixty somethings are in a position to declare our lives and our relationships basically sound—- “good enough.” Not perfect, not worthy of a Lifetime movie, but O.K. This phrase originates from writings of psychologist Donald Winncott’s when he characterized the “good-enough mother” as one who adapts to her baby at different stages and establishes a good environment in which the child can grow and develop. The good enough mother is distinguished from the hyper-mother who tries to micromanage every moment of the child’s life and feels guilty for everything that goes wrong. 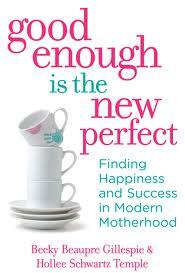 The “good enough mother” isn’t perfect and doesn’t always say or do the right thing. But she is good enough to raise a pretty normal child to adulthood. I think it’s a great phrase that can be applied to many aspects of a life: the good enough career, good enough marriage, good enough vacation, good enough family reunion, good enough friendship, good enough dinner and so on. “Good enough” means keeping expectations in check, making the best of what is, taking pleasure in what is on your plate, measuring success with your own yardstick, relegating the word “should” to the garbage, and focusing on your actual self, with your own specific needs, as opposed to your ideal self. In many ways I have exceeded my expectations and done things that I didn’t think I would or could do. Some negative things have happened along the way as well. But on balance, I have certainly had my share of “good enough.” As I look into the unknown future with some trepidation, I feel the stirrings of optimism and interest in the possibilities ahead. If I keep my head screwed on straight, the new experiences I encounter will be “good enough,” as well.